Christof M. Niemeyer is Professor of Chemistry at the University of Dortmund (Germany) where he holds the chair of Biological and Chemical Microstructuring. He was born in Cloppenburg and studied chemistry at the University of Marburg. He did his thesis at the Max-Planck-Institut für Kohlenforschung in Mülheim/Ruhr under the supervision of Manfred T. Reetz and his postdoctorate with Charles R. Cantor at the Center for Advanced Biotechnology in Boston (USA). He then went back to Germany, where he worked with Dietmar Blohm at the University of Bremen to complete his habilitation before moving to Dortmund as a full Professor in 2002. He is interested in semisynthetic DNA-protein and -nanoparticle conjugates and their applications in life-sciences, catalysis and molecular nanotechnology. Chad A. Mirkin is the George B. Rathmann Professor of Chemistry and the Director of the Institute for Nanotechnology and the Center for Nanofabrication and Molecular Self-Assembly at Northwestern University in Evanston. Professor Mirkin holds a B.S. degree from Dickinson College (1986) and a Ph.D. degree in chemistry from The Pennsylvania State University (1989). He was a NSF Postdoctoral Fellow at the Massachusetts Institute of Technology before becoming a chemistry professor at Northwestern University in 1991. Professor Mirkin is known for his development of nanoparticle-based biodetection schemes and his invention of Dip-Pen Nanolithography. He is the founder of two companies, Nanosphere and NanoInk, which are commercializing nanotechnology applications in the life science and semiconductor industries. Professor Mirkin has been recognized for his accomplishments with the 2004 Nobel Laureate Signature Award for Graduate Education in Chemistry (2003), the 2003 Raymond and Beverly Sackler Prize in the Physical Sciences, the 2002 Feynman Prize in Nanotechnology, the 2001 Leo Hendrick Baekeland Award, the Discover 2000 Award for Technological Innovation, I-Street Magazine's Top 5 List for Leading Academics in Technology, the Materials Research Society Young Investigator Award (2000), the ACS Award in Pure Chemistry (1999), the PLU Fresenius Award (1998), the Harvard University E. Bright Wilson Prize (1998), and the BF Goodrich Collegiate Inventors Award (1997). "For those wanting to know more about this emerging scientific area, this is an excellent starting point." 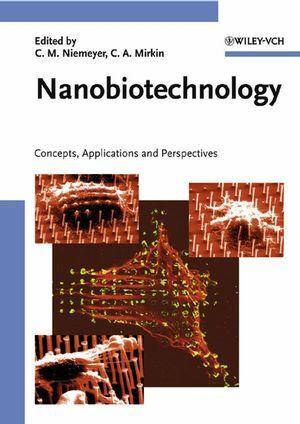 "....describes in detail all currently available methods of this novel field of research...a perfect guide for chemists, biologists, and material scientists who want to explore the fascinating world of nanobiotechnology." "In summary, I would rate the book a >strong buy<. It is a high-quality text - well illustrated, and extensively referenced - that provides the first authoriative overview of this emerging field." "This book really does represent a fine collection of chapters by respected authors describing current thinking on this subject. 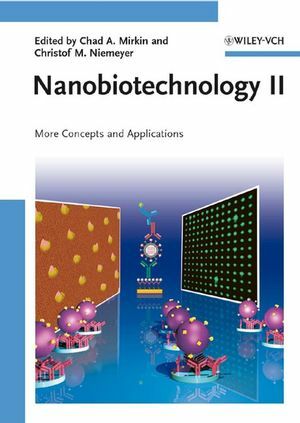 The book represents a substantial and realistic compendium of the key concepts and realities of modern nanobiotechnology and should be on the purchaselist of all biologists, chemists, physicists and engineers wishing to acquaint or immerse themselves in this newley emerging technology." 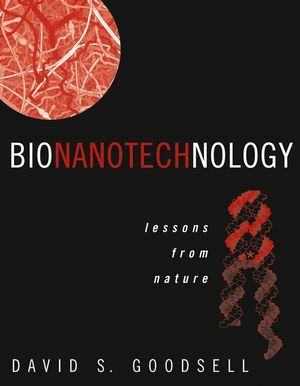 "I truly believe that this book can serve as a textbook for graduate students, as an essential reference for active specialists, and as interesting reading material for general readers with a curiosity in bionanotechnology."